Suitable for all models 1984 on. 3 x Handbrake cable joint couplings. NB Does not include handbrake cables. 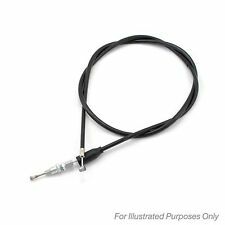 FRONT HAND BRAKE CABLE- BC2070. MAESTRO VAN (84-93). ROVER MG MONTEGO. If you are not 100% happy with the part you ordered, we will replace the part or your money back. Montego all saloon models inc MG Turbo 04/81-06/94. BWC3027, C282, 4221. Rover Group MG Montego 2.0 EFi, Turbo. Rover Group Austin Montego 1.3, 1.6, 2.0 Estate. RH WHEEL CYLINDER. 19.00mm bore, RH only. If you are not 100% happy with the part you ordered, we will replace the part or your money back. Montego Saloon. Montego Estate. Here we have a Rear Wheel Cylinder to fit the following cars 2.0 Turbo-D 01.1993 - 12.1993, 1996 cc. 2.0 GTI/LXI 12.1990 - 12.1993, 1996 cc. 1.6 10.1990 - 09.1992, 1598 cc. BWC,3027,CL475,VQ267, BBC739. Rover Group MG Montego 2.0 EFi, Turbo (84-94). Rover Group Austin Montego 1.3, 1.6, 2.0 Estate (84-94). LH WHEEL CYLINDER. 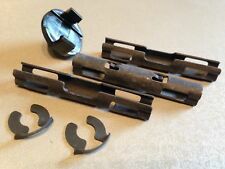 MG MONTEGO 2.0 Brake Shoe Fitting Kit Rear 84 to 90 QH. AUSTIN MAESTRO (XC) 1.6 MG Hatchback Petrol 03/1983 08/1985 FWD 8 98 72. AUSTIN MAESTRO (XC) 1.6 MG Hatchback Petrol 03/1983 08/1990 FWD 8 99 73. 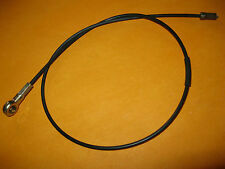 MG MONTEGO 2.0 Brake Cable Rear 84 to 90 Hand Brake QH. AUSTIN MAESTRO (XC) 1.3 Hatchback Petrol 03/1983 08/1985 FWD 8 63 46. AUSTIN MAESTRO (XC) 1.3 Hatchback Petrol 01/1986 09/1992 FWD 8 63 47. AUSTIN MAESTRO (XC) 1.3 Hatchback Petrol 01/1986 09/1992 FWD 8 68 50. MG Montego 2.0i. MG Montego 2.0 Turbo. Montego 1.3. Montego 1.6. Montego 2.0. Montego 2.0TD 84-93. One new part to fit the following;. CLG for Clear with Black Text, -CB for Carboline, -CL for Clear, -EB for Electric Blue. 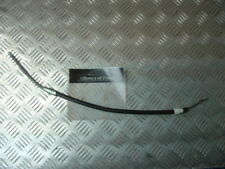 MG Montego 1985-1991 Stainless Clear Cover With Goodridge Print Goodridge Brake Hoses SAH0601-4C-CLG. Each Goodridge ABS brake line kit is manufactured using Stainless Steel ABS blocks, Stainless Steel fittings and PTFE hose wrapped in a Stainless-Steel braid with a PVC outer to stop dirt ingress. MG MONTEGO 2.0 Brake Shoe Fitting Kit Rear 84 to 90 TRW. Manufacturer Restriction TRW. As a corporation, TRW develop, design, manufacture and distribute almost everything that contributes to passenger safety in cars all over the world. MG Montego 1985-1991 Zinc Plated Clear Cover With Goodridge Print Goodridge Brake Hoses SAH0601-4P. Each Goodridge ABS brake line kit is manufactured using Stainless Steel ABS blocks, Stainless Steel fittings and PTFE hose wrapped in a Stainless-Steel braid with a PVC outer to stop dirt ingress. 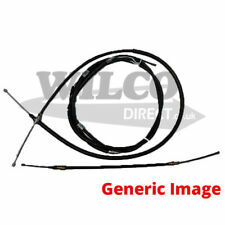 MG MONTEGO 2.0 Brake Cable Centre 84 to 90 Hand Brake QH. AUSTIN MAESTRO (XC) 1.3 Hatchback Petrol 03/1983 08/1985 FWD 8 63 46. AUSTIN MAESTRO (XC) 1.3 Hatchback Petrol 01/1986 09/1992 FWD 8 63 47. AUSTIN MAESTRO (XC) 1.3 Hatchback Petrol 01/1986 09/1992 FWD 8 68 50. MG MONTEGO 2.0 Brake Pad Fitting Kit Rear 84 to 90 B&B. MG MONTEGO 2.0 EFi Saloon Petrol 04/1984 09/1990 FWD 8 117 86. MG MONTEGO 2.0 Turbo Saloon Petrol 10/1984 09/1990 FWD 8 150 110. ROVER MONTEGO 1.6 Saloon Petrol 10/1990 09/1992 FWD 8 83 61. Function Cable, parking brake. AUSTIN MAESTRO (XC) 1.3 Hatchback Petrol 03/1983 08/1985 FWD 8 63 46. AUSTIN MAESTRO (XC) 1.3 Hatchback Petrol 01/1986 09/1992 FWD 8 63 47. AUSTIN MAESTRO (XC) 1.3 Hatchback Petrol 01/1986 09/1992 FWD 8 68 50. 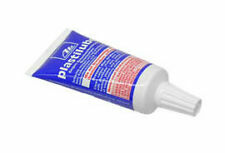 PART NUMBERUNIPART GWC 1161. MG & ROVER MONTEGO REAR RIGHT HAND WHEEL CYLINDER. MG MONTEGO 2.0 EFi. MG MONTEGO 2.0 Turbo. ROVER MONTEGO 2.0 i Cat. ROVER MONTEGO 2.0 GTi. ROVER MONTEGO Estate (XE) 1.3.